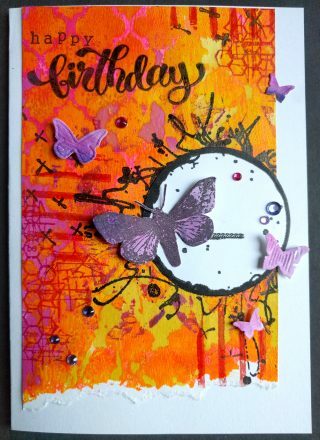 Beautiful explosion of colour Svenja and the white circle works so well as a spotlight for the butterfly – love it! 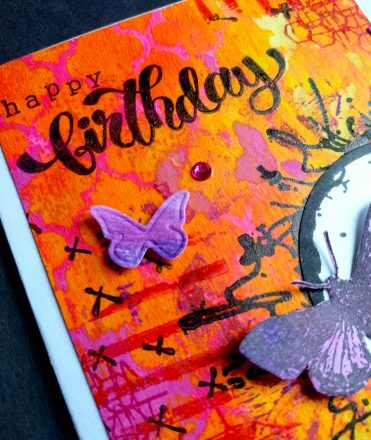 Great splash of summer colour and beautiful butterflies, gorgeous card. Love this, its a real beauty. Eine wunderschöne Sommerkarte! 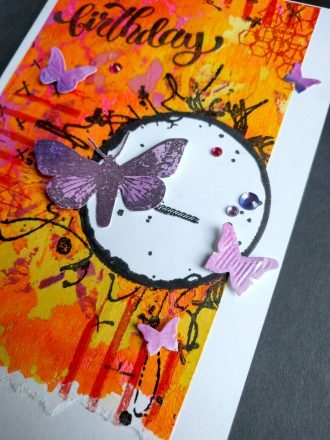 Die knalligen Farben und die Schmetterlinge erinnern perfekt an einen tollen Sommertag im Freien.